We put our Christmas card in the mail this week, so I'm excited to finally share the first card from Stephen and I as a married couple! This year's card was probably the easiest it could ever be, as I knew I wanted to use one of our wedding photos for our card. Picking a photo proved to be difficult, but after sending a few options to Stephen and playing around with card designs, I knew this one would work great and was actually one of my favorites from the day. 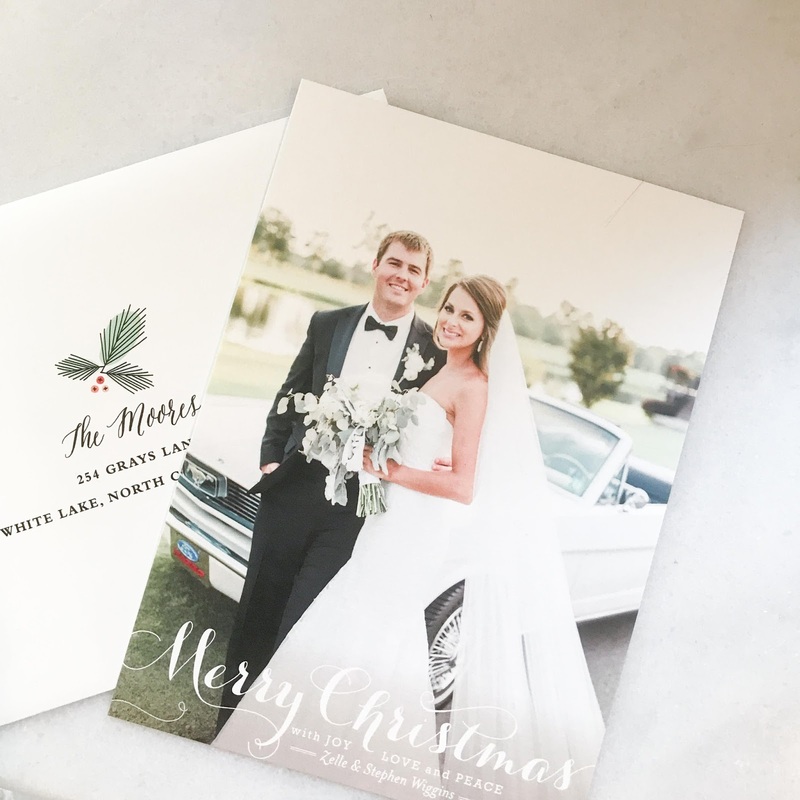 I've used Minted for several different things including our save the dates and last year's Christmas card, so it was a no brainer that it would be my choice for this year as well! One thing I love is that they will address envelopes for you, which saved me major hassle with addressing each envelope by hand. Though Sophie was with us at the wedding, we somehow managed to not get a single photo with both of us! 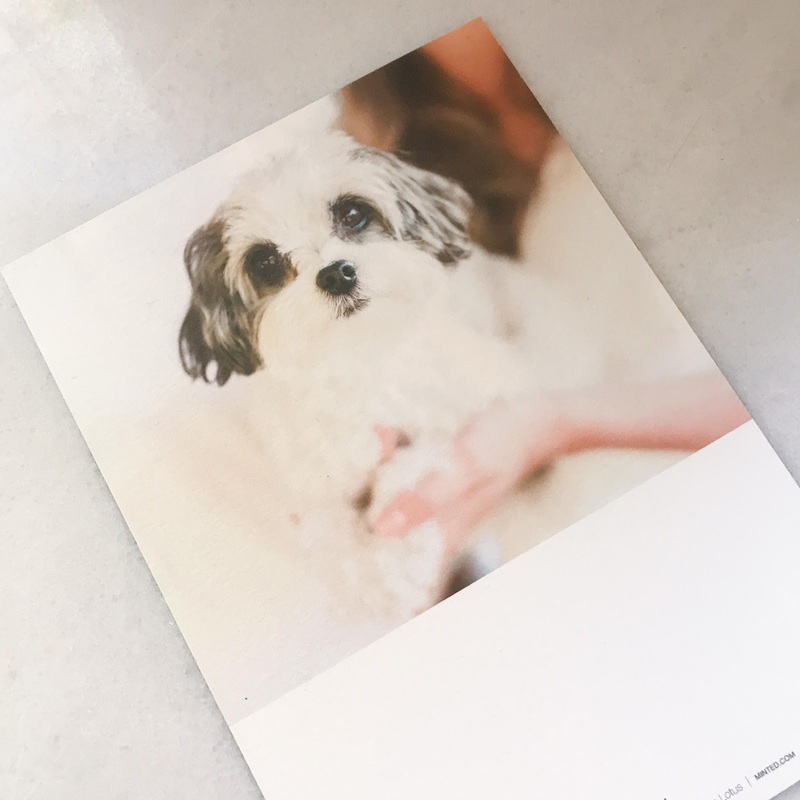 But we just couldn't leave her out - so of course she was included on the back of the card with a sweet headshot. 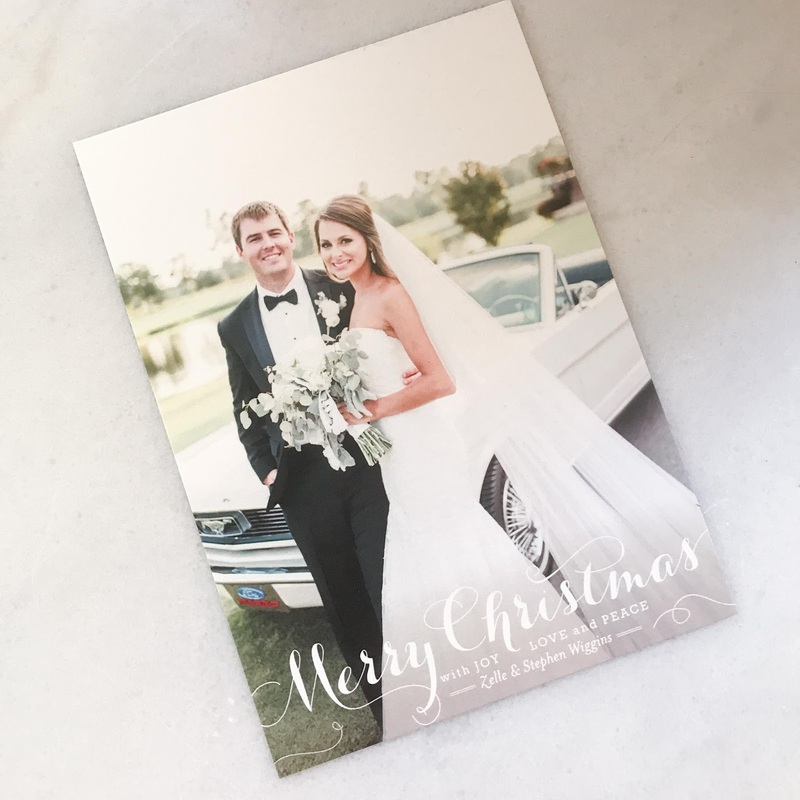 Do you send out Christmas or holiday cards each year?